Established in 2008, Jempson's Tree Services is run by hands on proprietor Sam Jempson, who trained at Shuttleworth College in arboriculture on a 2 year modern apprenticeship, completing the course and all NPTC (National Proficiency Test Council) requirements. 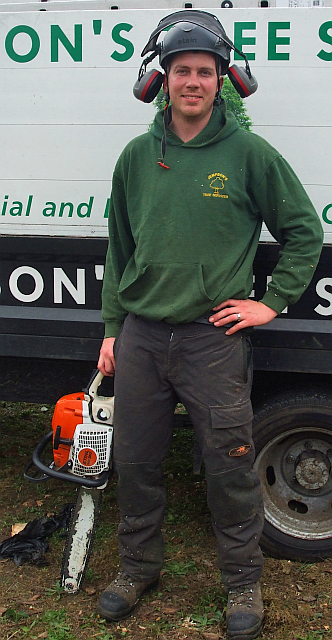 Sam has worked and gained experience with 3 different tree surgery companies across the UK and Ireland. After 8 years of working for different companies and gaining valuable experience, Sam formed his own company in 2008 specialising in all aspects of tree surgery. Sam's aim is to provide an affordable service carried out to the highest standard. Offering all types of tree services to clients in Bedfordshire, Buckinghamshire, Hertfordshire and the Home Counties, the company carries out commercial and domestic work to high standards, and all our staff are qualified to NPTC standard and fully insured. From simple trims and reshaping to felling and tree surgery, there is no tree job too small or large and we are happy to give advice where needed and offer no-obligation quotations on request.